Eilean Siar is one of two case study eco-systems in Scotland. Although geographically remote, there is considerable grassroots cultural activity including historical societies, music and heritage groups. Many of these explicitly aim to document and pass on cultural traditions on the islands. However, much of this will not be captured by conventional measures for participation such as the Scottish Household Survey. Issues affecting participation include patterns of migration, demographics (an ageing population), the vicinity of ‘community hubs’, intergenerational relations, isolation and geography. Nevertheless the islands are perceived to be culturally vibrant – with an inclusive, bottom-up culture. There is also much social enterprise activity and proactive community planning, led by Highlands and Islands Enterprise. 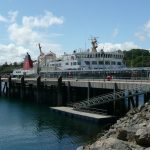 Interested in knowing more about the Western Isles? 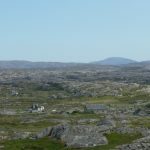 Visit UEP’s Hebrides research pages and follow Dr. Louise Senior as she explores everyday life, culture and community in the Western Isles.